The Breton Downs Parent and Teacher Organization (PTO) is a 501(c)(3) non-profit group run by parent volunteers that works together with the teachers and administration to provide materials and classroom enrichments for all students at Breton Downs. Look below to find a list of all that the PTO provides and many different ways you can get involved. We hope you will join the Breton Downs PTO in supporting your child throughout his or her educational journey. Please join us on Facebook! Our FB group provides a quick and convenient way to connect and share information with other Breton Parents. Visit our Breton Elementary PTO Facebook page. Running Club is kicking off on Tuesday April 16! Students are encouraged to participate during morning recesses on Tuesdays and last recess on Fridays. A new addition to running club this year is that we will be collecting all fully punched cards to be entered into a drawing for a Grand Prize! PTO Meeting - Last of the year! 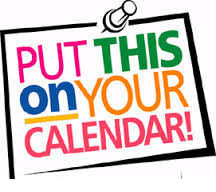 Our last general PTO meeting of the year will be Thursday, April 25th at 6:30 p.m. in the Learning Commons. Kevin Philipps will be with us that evening to present a district budget update. We hope you can join us! Free childcare is available during the meeting by contacting Katie Kujawski at . Are you or someone you know interested in learning more about our district and having a positive impact on providing extra support to our Breton students and staff? If you answered yes you would be a great fit for the Breton PTO Executive board! Thanks to parents, family and friends support, our PTO was able to sponsor over $30,000 in valuable learning experiences and materials for all Breton Downs students. Below is our 2016-2017 list of sponsored programs, events and materials. There are so many ways to offer your support of our students through the Breton Downs PTO. Parents and grandparents can sign up to be volunteers for programs and events, help plan fundraisers or offer monetary support. Follow the links below to join the PTO and explore the different ways you can support Breton Downs students. The executive board is a group of parent volunteers overseeing the management of the PTO for the school year.